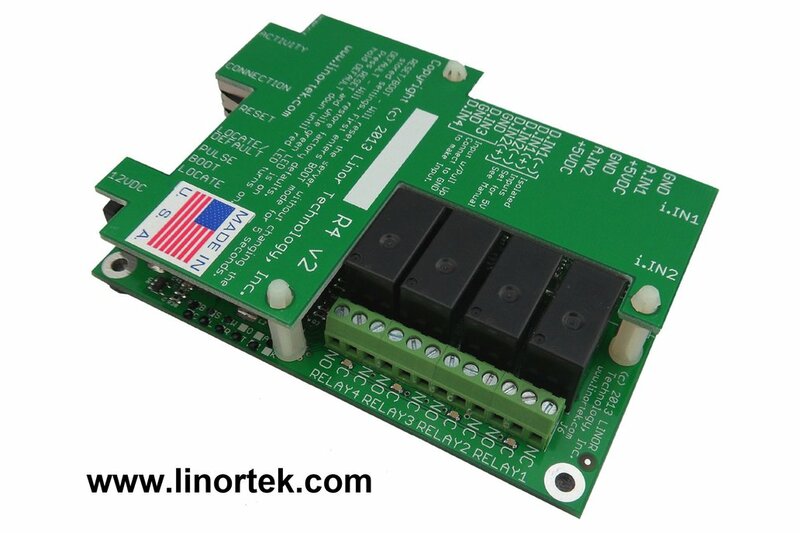 Fargo R4DI is a web enabled TCP/IP Ethernet I/O relay control & monitoring board with a built in web server. 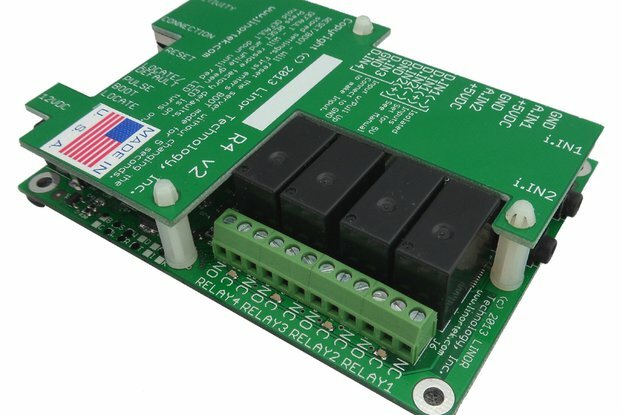 It has 4 relay outputs, 4 digital inputs. 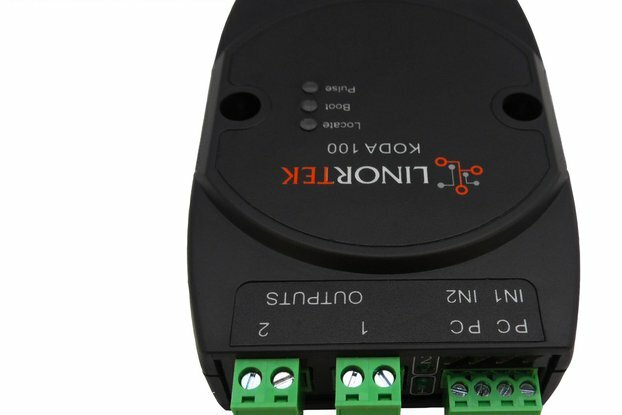 With POE (Power over Ethernet) enabled, Fargo R4DI is easy to install and connects through your Ethernet connection without the need for additional power, providing you tremendous cost-savings and flexibility when installing Fargo R4DI in your control system. 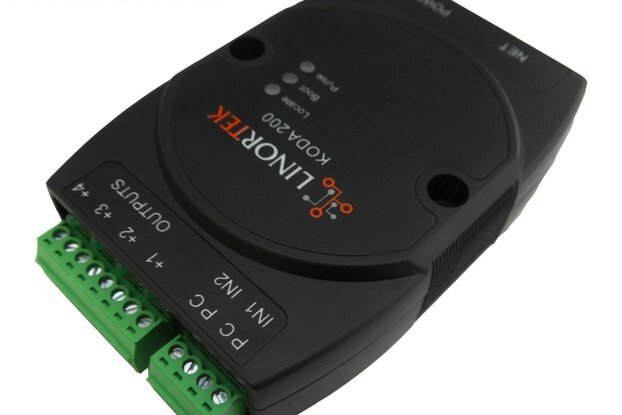 State: This is useful for knowing if an input is on or off, like a door switch being on or off. Counter: Non-resettable/resettable counter. Frequency: Counts the frequency of an input in KHz (kilo hertz or1/1000 seconds). This could be useful in displaying a tachometer where 60Hz = 1 R.P.M. Period: In 1/1000 seconds an input in kHz (milli-seconds or 1/1000 seconds). 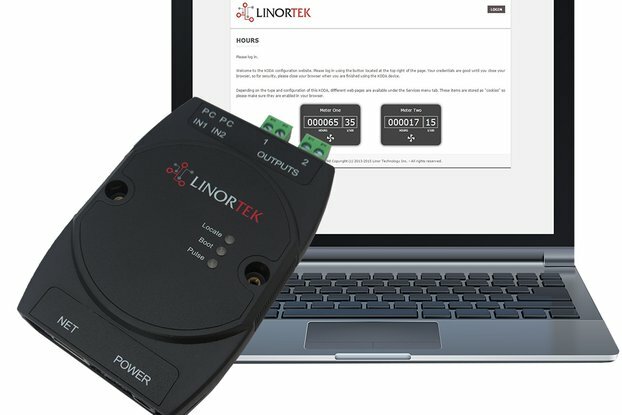 This would be useful for measuring timed events. 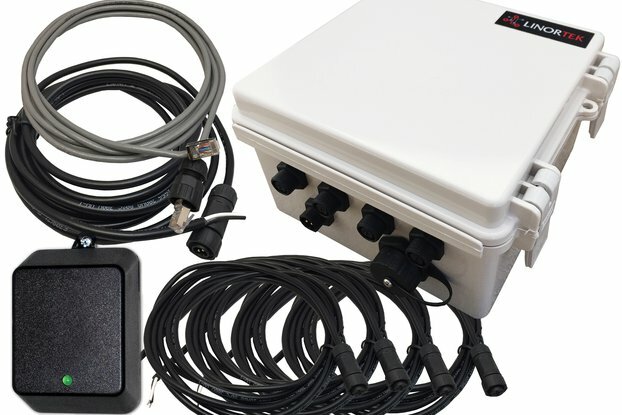 With Fargo R4DI, you can control and monitor the relays and inputs with standard web browsers or our smartphone Apps. 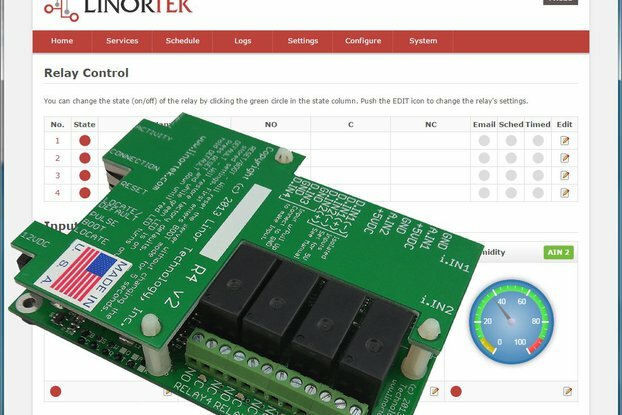 As part of the software there is a built in scheduler and you can also control & monitor the board thru RESTful commands. 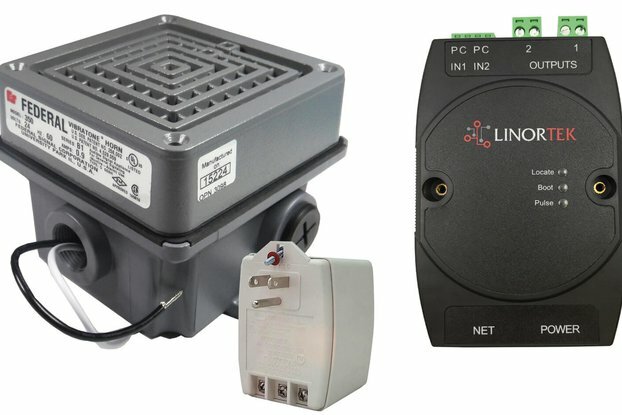 Fargo R4DI is an ideal web control and monitoring solution for applications such as security, access control, industrial equipment monitoring, building automation system and much more. 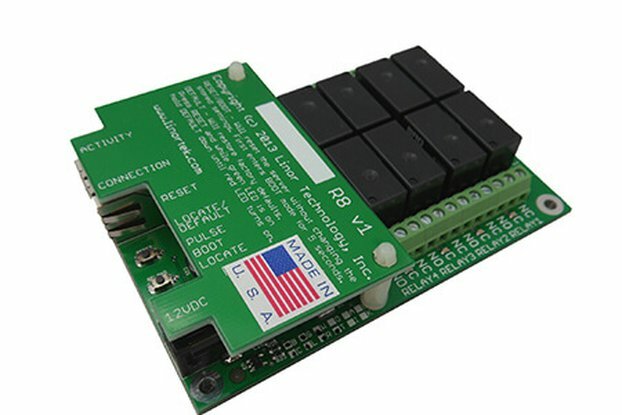 Fargo R4DI smartphone Apps allow you to add new relay boards when you need to grow your system, this makes it easy to manage all your devices in one place. 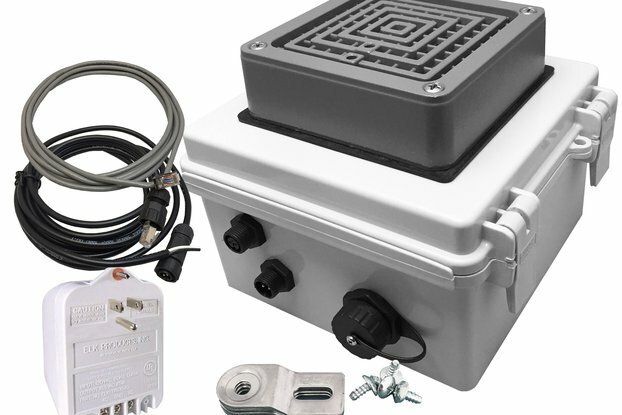 Input measure state, frequency, period, or as a counter. POE (Power over Ethernet) enabled. 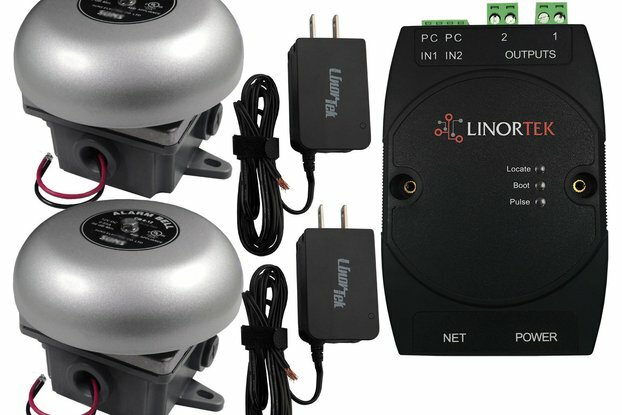 2 optically isolated, 2 pull down for contact close digital inputs, 2 conductor screw terminal connectors for each. 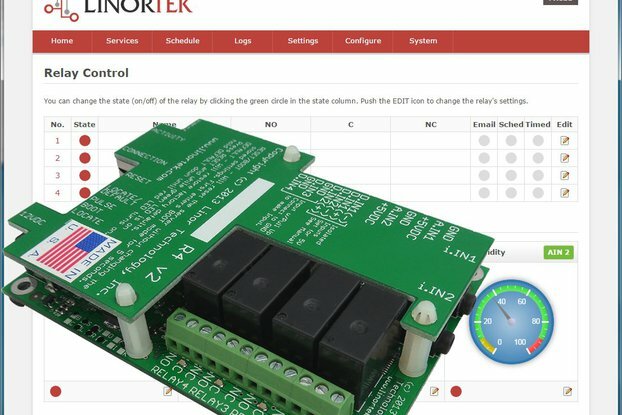 Connect the 2 terminals to make input.